Newcastle earned their first win of December with a 0-1 victory over Huddersfield in the Premier League on Saturday afternoon. Huddersfield were the brighter of the two teams throughout the first half, but they were unable to find a way past a sturdy away defence. Philip Billing had the most notable effort of the opening 45 minutes when he rifled in a free kick from long range, but Martin Dubravka was at his best to tip the ball over his crossbar. Huddersfield continued to dictate the pattern of play early on in the second half, but they ended up being caught out by a rapid Newcastle counter attack. 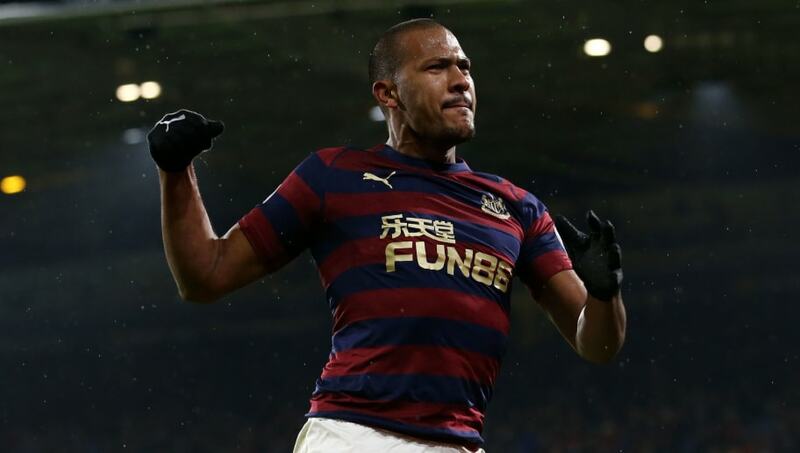 Javier Manquillo was released down the right flank and the Spaniard played a beautifully weighted pass into the path of Salomon Rondon, who then guided the ball into the back of the net. Huddersfield responded well to going behind, but they were left frustrated on more than one occasion by Dubravka and the Newcastle defence, who put in an admirable performance in tricky conditions. Despite a late rally from the home side, Newcastle's clean sheet remained in tact and the three points headed back to the north east. With just two wins to their name all season, it certainly hasn't been an ideal start to the season for ​Huddersfield - but that isn't for the want of trying. As per usual, David Wagner's men were full of grit and determination, pouncing on every second ball and winning every 50/50. However, there was a distinct lack of finesse about their play in the final third and, for all their dominance in terms of possession, they couldn't translate that into goals. If they are to stay up this season, Wagner will be the first to admit that something needs to be done in January. There are only so many chances he can afford to give his current crop of forwards. Starting XI: Lossl (6); Zanka (6), Schindler (6), Kongolo (5); Hadergjonaj (6), Bacuna (6), Hogg (6), Billing (7), Lowe (6), Pritchard (7); Depoitre (4). Substitutes: Durm (5), Sobhi (6), Mbena (5). There are very few midfielders in the Premier League who can match Philip Billing's sheer physical strength, but the 22-year-old has proven that he has the technical acumen to match his giant frame. He was a force to be reckoned with for Huddersfield once again, with his direct runs and incisive passing causing the Newcastle midfield a serious headache. He was also seriously unlucky not to get on the score sheet with his first half free kick. @NUFC making Philip Billing look like Zidane. This Philip Billing's shooting technique is top class, unlucky not to score on too many occasions this season. It feels harsh to criticise Laurent Depoitre as the Belgian striker was often starved of service at the top end of the pitch for Huddersfield, but whenever his teammates did provide a decent cross into the box, he was never on the end of it. Depoitre and fellow first team striker Steve Mounie have failed to score a single goal between them this season. After winning all three of their matches in November, ​Newcastle had only managed to pick up a single point in December prior to this one, meaning they needed to return to winning ways. It was by no means a brilliant performance - quite the opposite in the first half in particular - but Rafa Benitez will be thrilled with the way his side dug their heels in to give themselves the chance of snatching a result. It's a huge win for Newcastle, who will now surely be starting to look up the table as the edge themselves away from the scrap down at the bottom. Starting XI: Dubravka (8*); Schar (5), Lascelles (7), Clark (7); Manquillo (6), Atsu (6), Diame (5), Ki (5), Kenedy (5), Perez (6), Rondon (6). Substitutes: Hayden (6), Ritchie (5), Dummett (N/A). Newcastle's recruitment policy has been far from perfect over the past few years, but snapping up Martin Dubravka for just £4m may be one of the best deals the club has ever managed to pull off. The Slovakian keeper was outstanding throughout the 90 minutes for the Magpies and dealt with the difficult conditions admirably. He pulled off a few brilliant saves to ensure that he maintained his clean sheet and he was even the man who started the counter attack for Newcastle's goal. In fairness to ​Kenedy, he is certainly not a natural wing back, but he was a constant weak link for Newcastle when ever he was forced to track back down the left flank. He is much better suited as a winger, but with options remaining thin on the ground for Rafa Benitez, the Brazilian may have to get used to playing a little deeper. Both sides have a weeks rest before returning to Premier League action next Saturday. Huddersfield host lowly Southampton whilst Newcastle welcome Claudio Ranieri's Fulham to St James' Park.